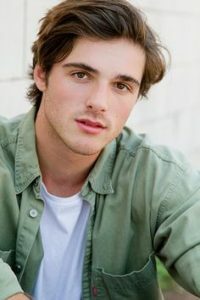 Jacob Elordi is an Australian actor. He is best known for his portrayal of Noah Flynn in the Netflix movie The Kissing Booth (2018). He played Rooster in the 2017 comedy-drama film “Swinging Safari”, and portrayed Jake in the 2018 horror film “The Mortuary Collection”. Born on June 26, 1997 in Brisbane, Australia, to Melissa and John Elordi, he attended St Joseph’s Nudgee College in Brisbane. He landed his first major role in 2017 as “St. Martins Marine” in The Pirates of the Carribean: Dead Men Tell No Tales. He fell in love with actress Joey King while filming The Kissing Booth. *He was born and raised in Brisbane Australia. *He is 6 feet and 3 inches tall which is 1.9 in metres. *For his work in Kissing Booth, he learned how to ride a motorbike. *Currently, he resides in Los Angeles, CA.